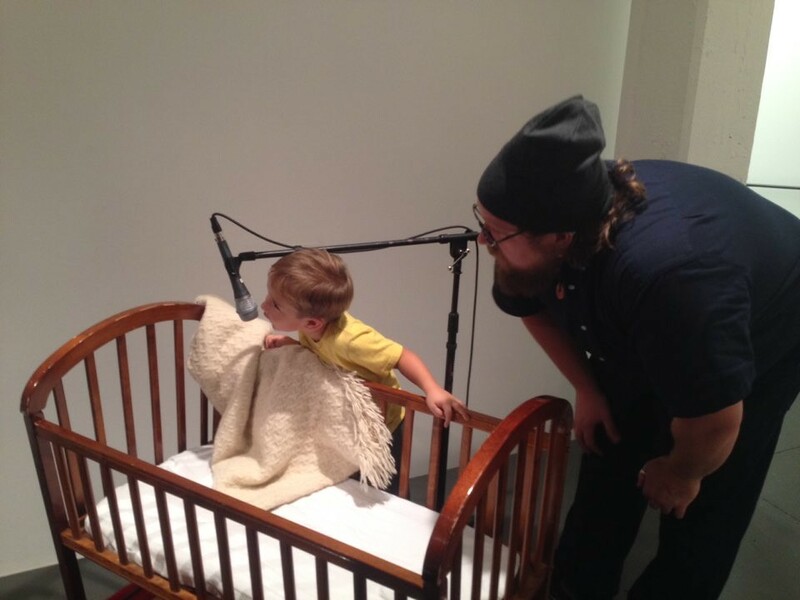 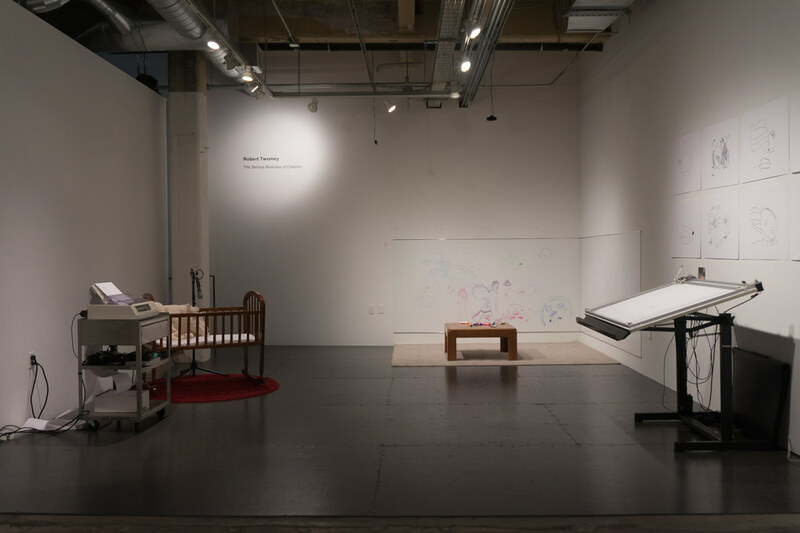 This room-scale mechatronic installation examines issues of meaning and expression from the oblique angle of children’s pre-language. 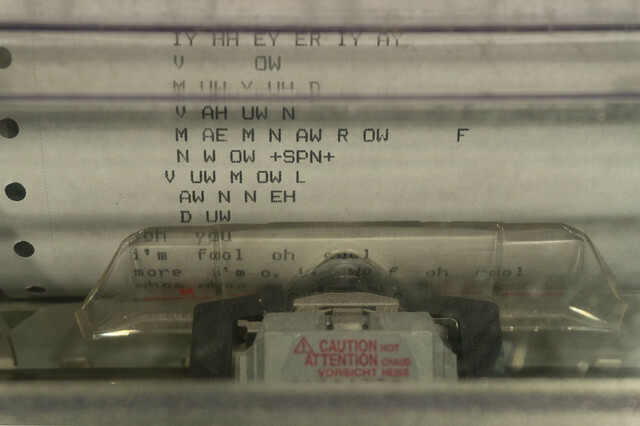 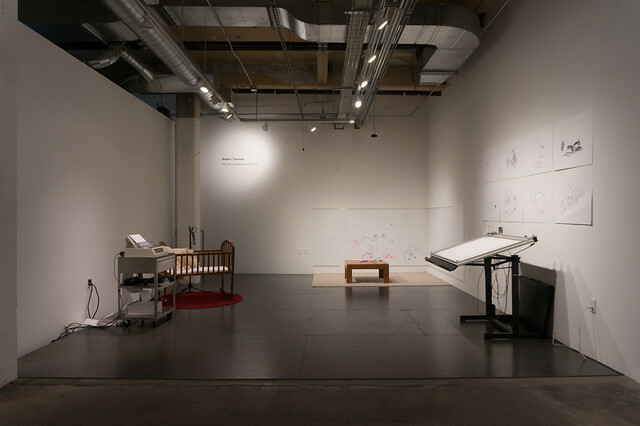 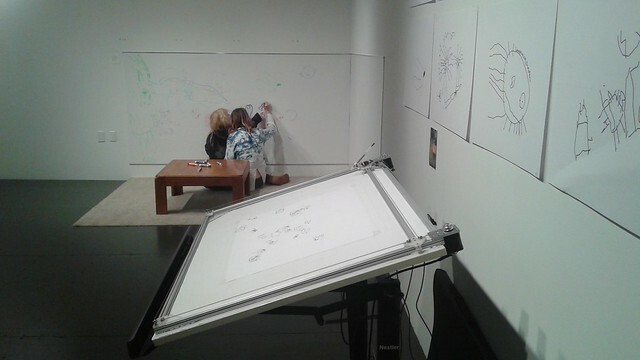 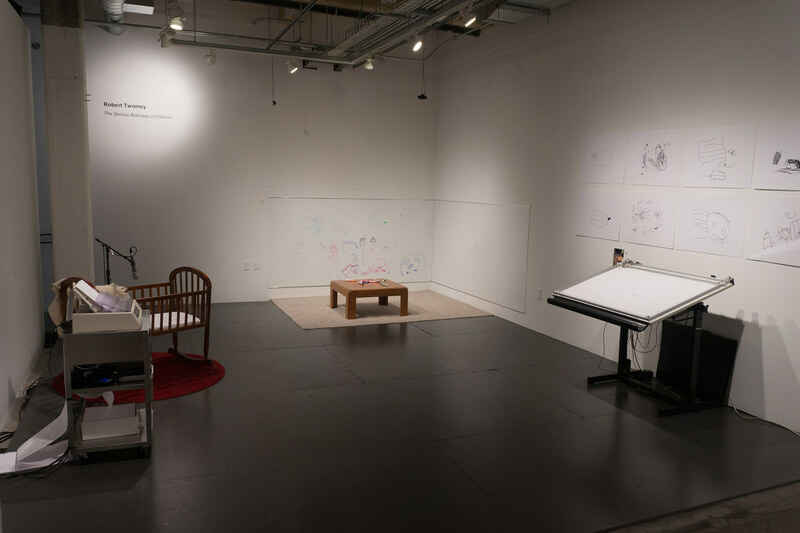 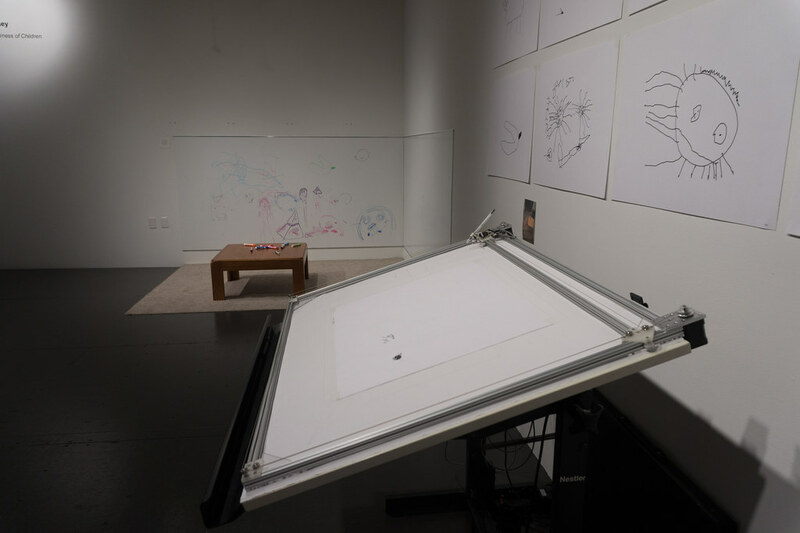 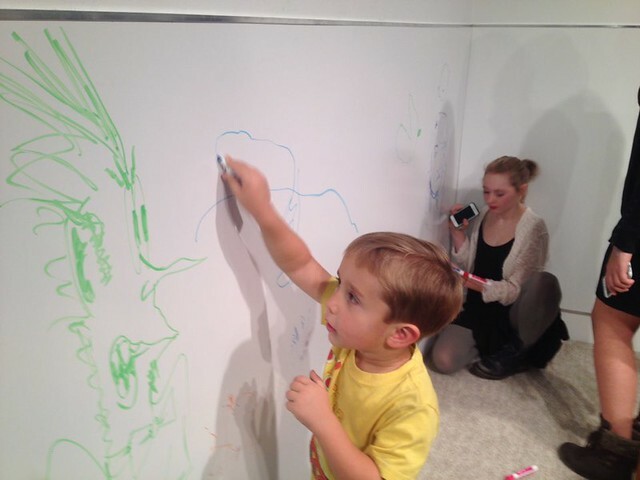 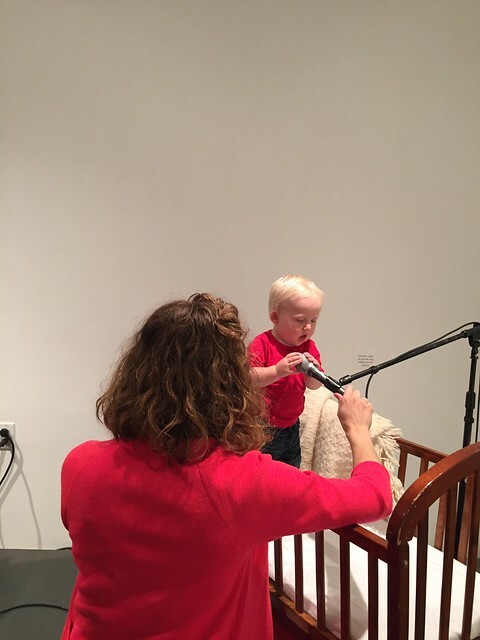 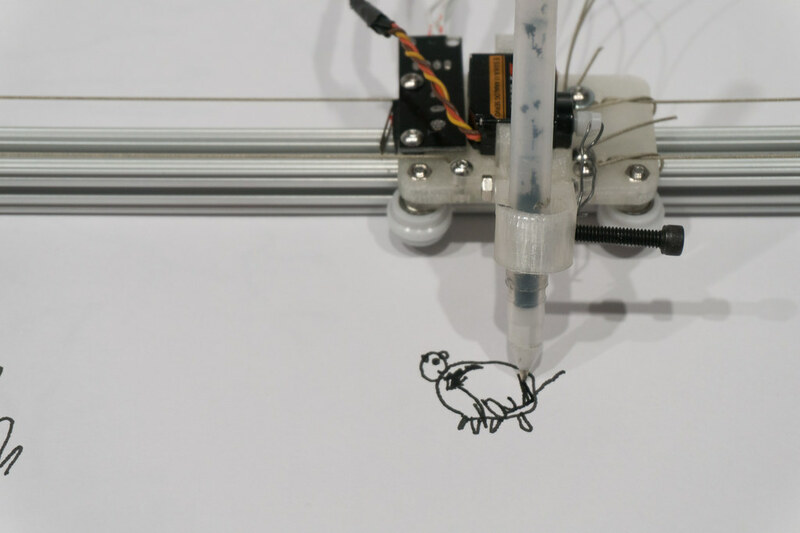 The room is populated with a number of speaking, listening, and drawing machines that communicate with one another using synthesized voices and drawings in a process of continuous translation from word to image. 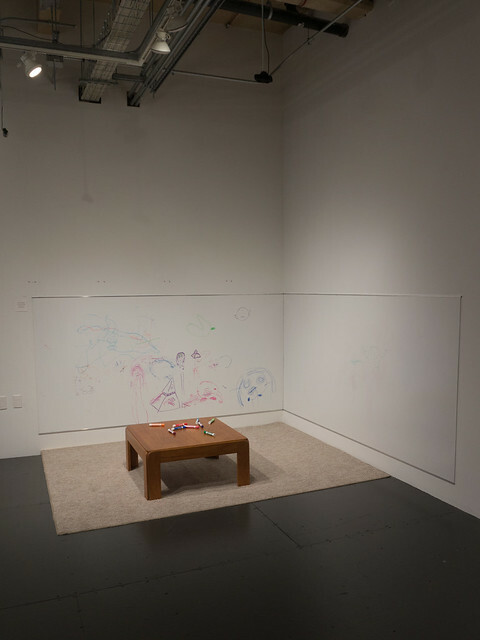 Audio recordings and children’s drawings are the raw material of the system, analyzed by computer and re-synthesized by machines. The project uses children’s early expressions as protolanguage, unintelligible in any conventional sense, but communicative in other registers. 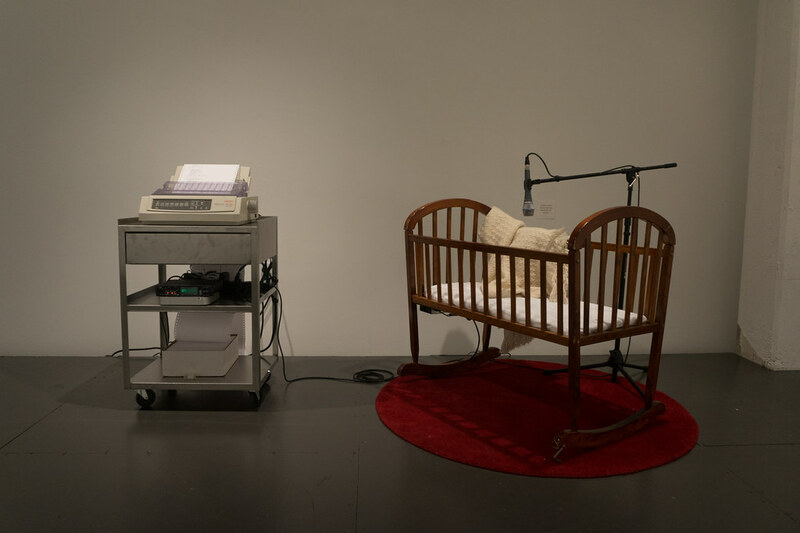 This project was inspired by John Searle’s “Chinese Room” thought experiment, reflecting on the difference between expression and comprehension in humans and machines.